BALTIMORE, Md. – First Lieutenant Amor Woolsey, chaplain of the 5thRegiment Armory, distributed copies of Strength for Service to God and Country to members of the Maryland National Guard. Amor also serves as pastor of caring ministries for Kent Island UMC in Chester, Md. 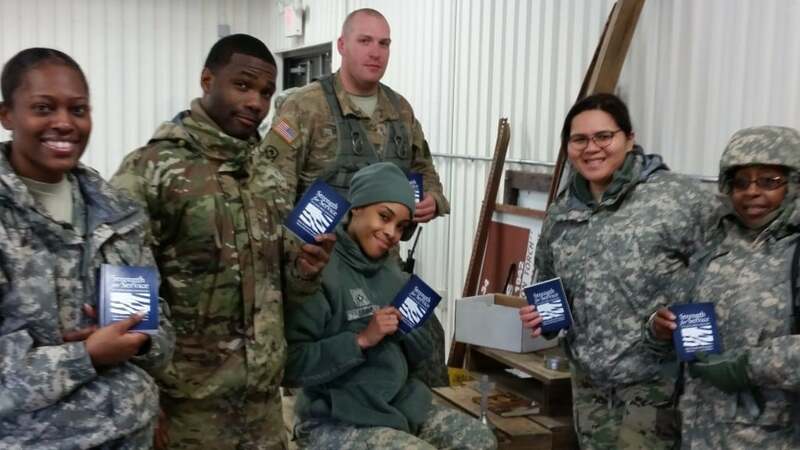 Caption: Members of the Maryland National Guard receive SFS books.